by Catherine Coulter | Mystery & Thrillers | This book has not been rated. Picked up at Frugal Bookworms meeting in Fayetteville. Dark secrets that can destroy lives propel bestseller Coulter's solid 12th FBI thriller (after Double Take). When a small plane carrying FBI Special Agent Jackson Jack Crowne makes a crash landing in mountainous Parlow, Ky., his friends FBI Special Agents Dillon Savitch and Lacey Sherlock fly by helicopter from Washington, D.C., to the scene. Jack survives the crash, aided by Rachael Abbott, a young woman who's returning to Parlow, her childhood home, after escaping an attempt to drown her in a Maryland lake. After Rachael reveals that she's the illegitimate daughter of the late Maryland senator John James Abbott, whose siblings she suspects are trying to kill her, the FBI agents agree to help. As further attempts on Rachael's life occur, the attraction grows between her and Jack. 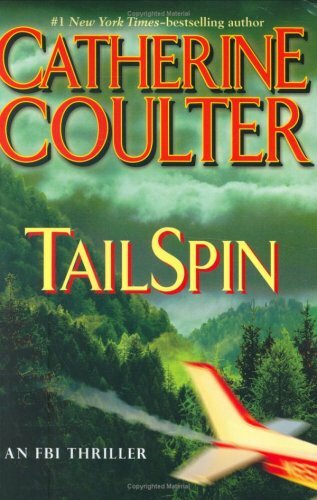 Despite a somewhat predictable plot, master of romantic suspense Coulter exposes the cost of obsessive regard for family honor and family shame with her usual flair. Mailed to a friend in Grimes, IA. Got in the mail today...will read soon!!! This was a pretty good read. I enjoyed the relationship between Rachael and Jack and also nice to hear more from Sherlock & Savitch!!! Putting this in the 2004 and later VBB at BookObsessed.com. Removing from 2005 & Newer VBB at BookObsessed.com. Putting in Everybook VBB at BookObsessed.com. Removing from Everybook VBB at BookObsessed.com. Removed from Mystery VBB at BookObsessed.com in August and forgot to change the status.